← A good year..bring on 2015! I don’t think there is a blog out there that hasn’t written about the new year and what they hope to accomplish or the creation of resolutions. I have always steered away from this type of writing because so often we have high hopes as the new year begins and then a month or two later – vanish! 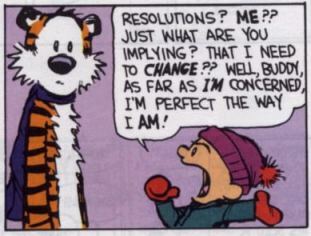 I once heard someone tell me that resolutions are ‘to do‘ lists for the month of January. I was a fan of Calvin & Hobbes and really liked this quote. Sums it all up, don’t you think? When I had the idea I would like to write about resolutions, I did some simple research and got a nice chuckle out of some of the resolutions out there. A couple favorites of mine were: “I will keep the bathroom clean…once a month!” and “Do less laundry and more deodorant”. Now, I have always said this blog is about music and so in sticking with this theme, I did come up with a few goals that I look forward to accomplishing in the new year. They are music related and only three of them. 1. Produce a film documentary on the history of Armenian music in Detroit. Ok..I know you know I was going to list this, but how many people do you know can say they produced a film that will get aired on television? Nevertheless, its a goal of mine – one I have had for some time. 2. Lose weight. Oh, yea ..the standard resolution, I know. It does however have a direct connection to my music. I’ve noticed that my agility and endurance has been affected by my weight and it is a problem for me. So, I would like to be lighter at the end of the year than I was when I entered this year! I would also like to be around when my kids get married and I can play at their wedding. Whether they want me to or not! 3. 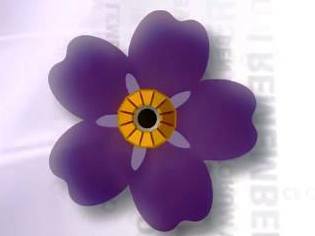 Disseminate Armenian music during the year of the 100th Anniversary of the Armenian Genocide. Ok, I need to get on my soapbox for this one, please allow me a moment. Many of you already know that this year is the 100th anniversary of ‘the’ most horrific experience for the Armenian people. This year will be filled with events, articles, religious activities that center around the 1.5 million Armenians massacred in 1915. For many years I have felt that we as Armenians have always commemorated this event in an inward fashion. We seem to do less for the non-Armenian population for them to realize what happened to the Armenians and to tell more about the Armenians. We should not be defined solely by a Genocide. More over, I think we should, like most other ethnicities (from what I see) that have faced atrocities, promote what was not taken away from us. Our music, our art….yes, it was minimized because of the Genocide, but it did not vanish. I want to contribute my part and make it well known the importance of my Armenian culture. This can take place with free concerts, utilizing social media, etc. This is the year that should make a difference. This is the year that we as Armenians should show our rich culture. Stepping off soapbox now. OK, what did you think? Simple. Important. Attainable goals. Wish me luck. This entry was posted in Uncategorized and tagged Armenian, goals, new year, resolution. Bookmark the permalink.